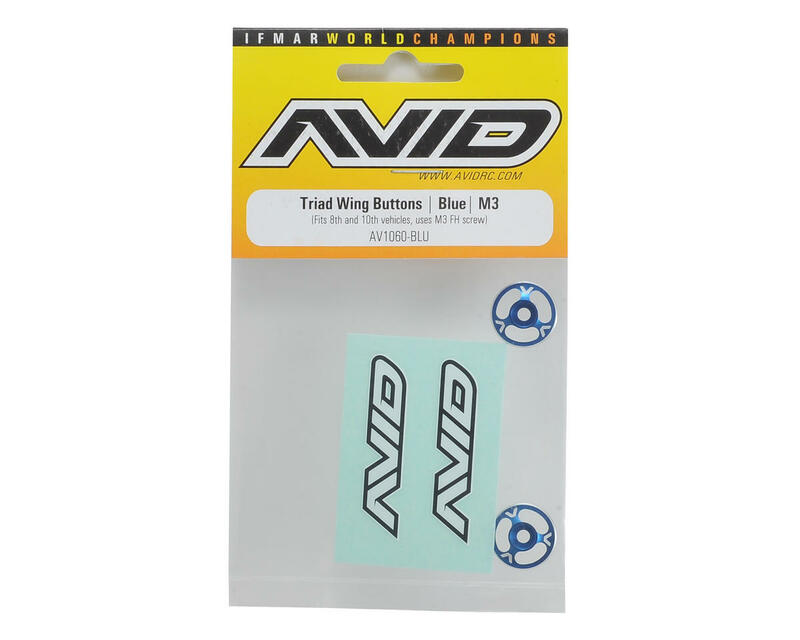 The Avid Triad 1/10 Wing Buttons weigh just 0.3g each (half the weight of the standard Avid 10th button), and are the lightest metal button on the market. By adding nice silver highlights and laser etched logos they are even more desirable. 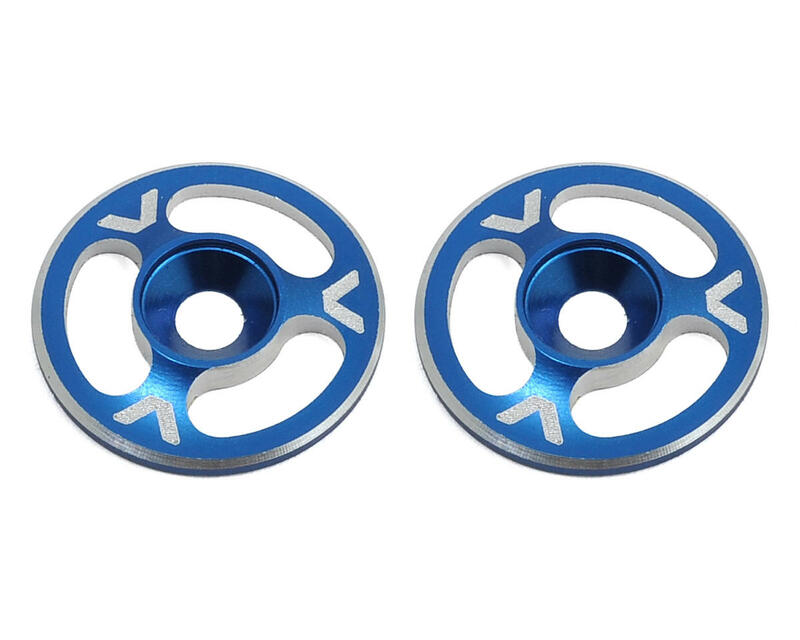 The Triad button is available in a black, blue, red, green, pink, orange, hard anodize, or purple anodized finish and are designed for use with an M3 flat head screw.